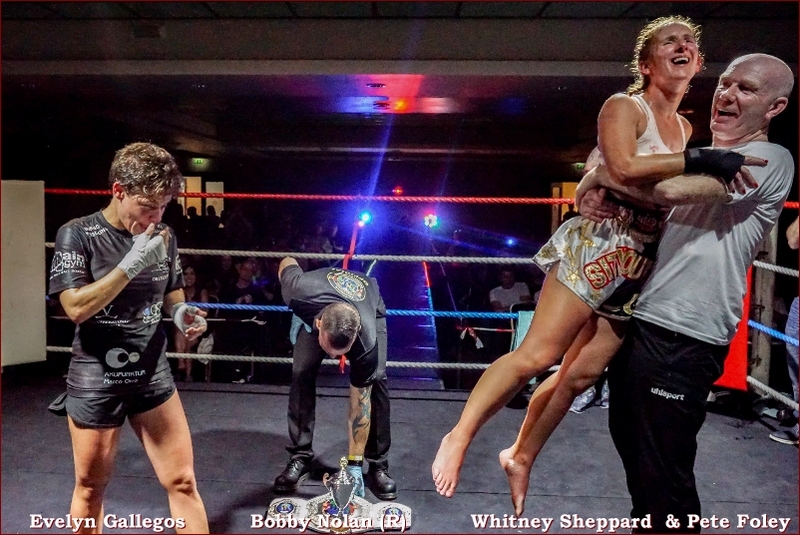 INTERNATIONAL: (IR) Leg Kicks Allowed, No Knees, Elbows or Clinch. 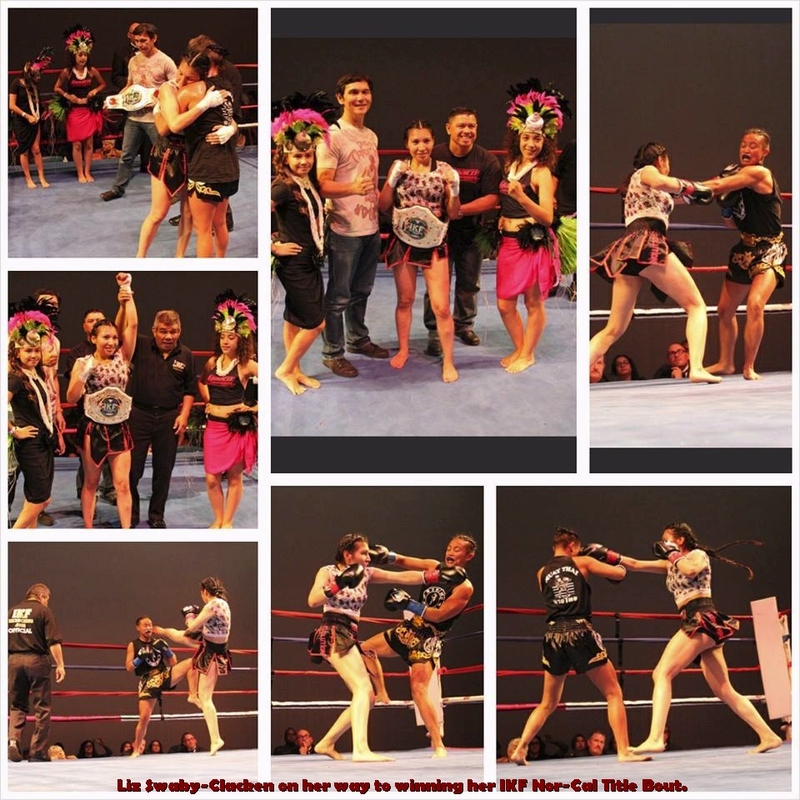 UNIFIED: (UR) Modified/Limited Muay Thai - K-1 - Glory Style Rules Combined. 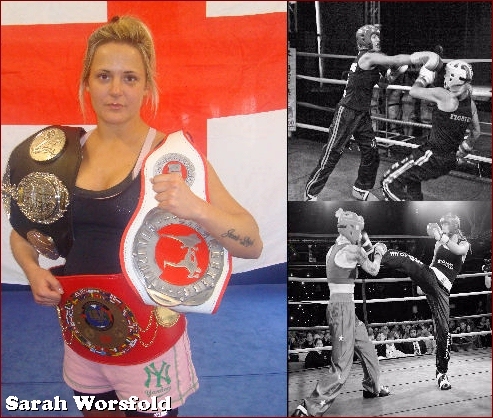 MODIFIED MUAY THAI: (MMTR) Limited Knees & Elbows Possibly None to Head or at all. Limited or No Clinch at all. 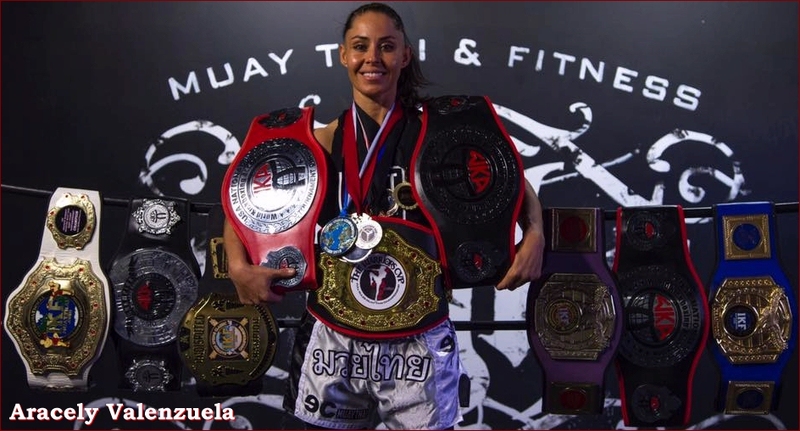 FULL MUAY THAI RULES: (FMTR) Knees To The Body & Elbows to Body & Head Full Clinch. 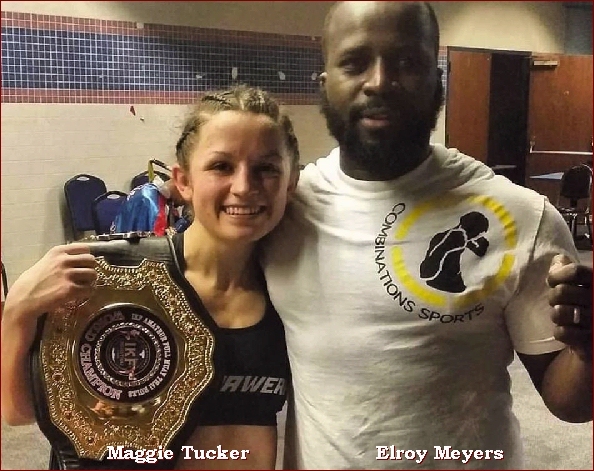 WEB VIEWERS: As we all know, fighters info changes as time goes by and many fighters fail to contact us with updated info on themselves. 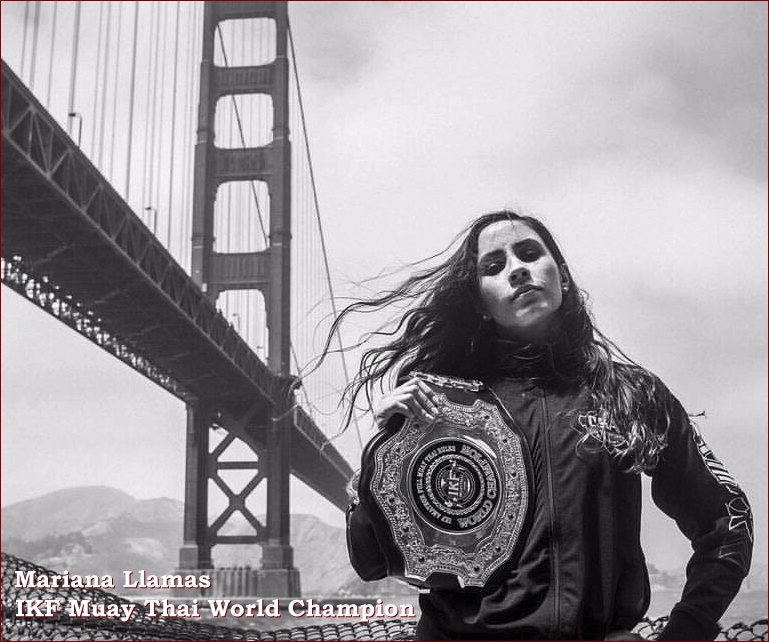 If you find something within our rankings (Fight record, contact info, weight, age etc.) that needs to be updated or corrected, please e-mail us at Ranking Update -Click HERE- with the new info. Phone Numbers seem to change often. So If you encounter a DISCONNECTED or WRONG Phone number, PLEASE inform us by e-mail at Ranking Update -Click HERE- so that we can try to register the correct number. 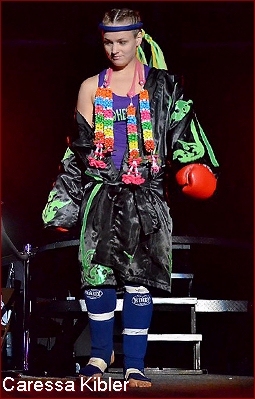 The listed info is what we were last given by the fighter and their trainer. 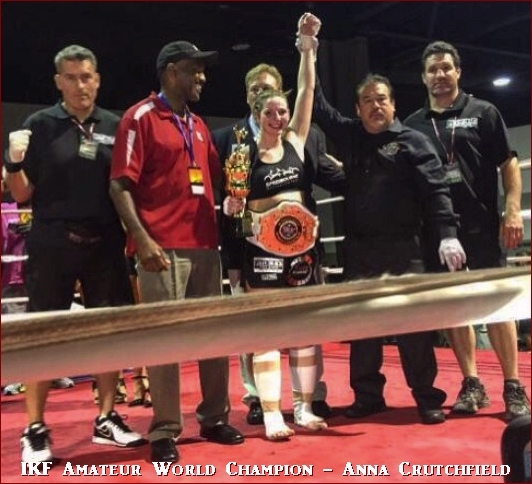 Make sure you inform us what RULE Style and WEIGHTCLASS you found the error in. To e-mail us, click HERE- - Thank You. 104 - 108.1 lbs. 47.27 kg to 49.09 kg. CALI 15 - "Girls Night Out!" 108.1 lbs. - 112 lbs. 49.13 kg to 50.90 kg. 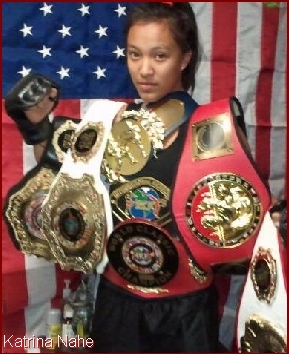 Defeated Aracely Valenzuela (Greensboro, North Carolina, USA, 16-7) by head kick knockout at 1:30 Seconds of Round One. 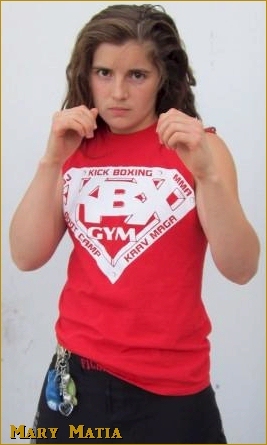 Defeated Ariana Gomez (Sun Valley, California, USA, 8-6/1) By TKO at :33 seconds of round 3. 112.1 lbs. - 117 lbs. 50.95 kg - 53.18 kg. 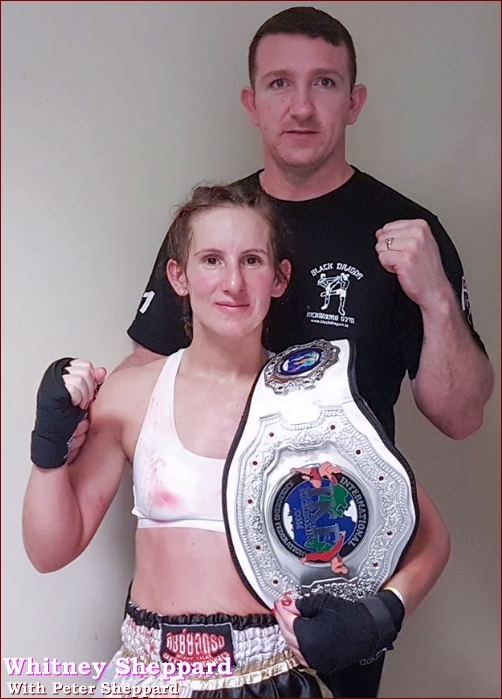 Defeated Nora Szgedi (London, England) by unanimous decision, 49-44, 50-43, 50-43. (**) 5-18-18: Susan Wallace Advanced Medicals Renewed and CLEARED on May 18th, 2018 for 1 year until 5-14-2019. 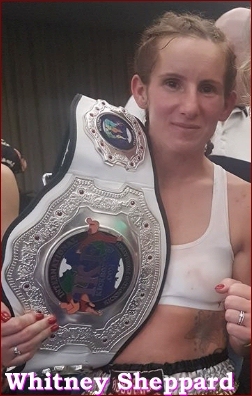 (**) Susan Wallace Advanced Medicals Renewed and CLEARED on February 23rd, 2017. 6 lbs over the 122 weight limit. 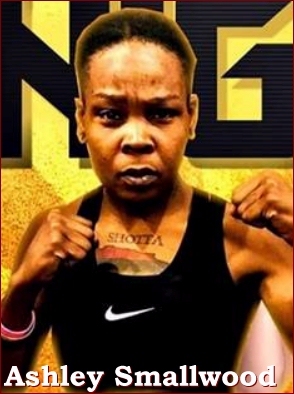 Unanimous Decision, 30-27, 29-28 & 30-27. 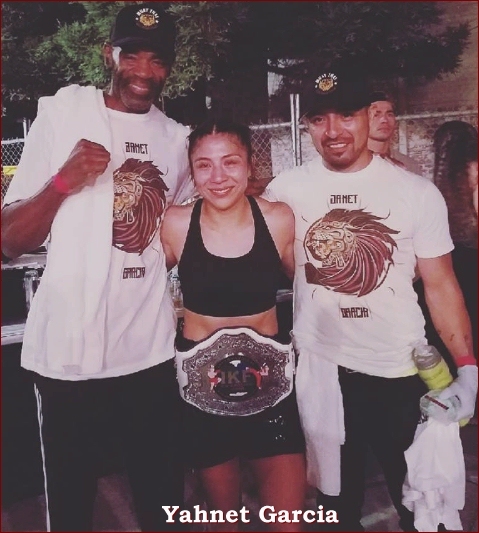 Defeated Cruz Itzel Andrade Gonzalez (Mexico, 10-4) by first round KO. 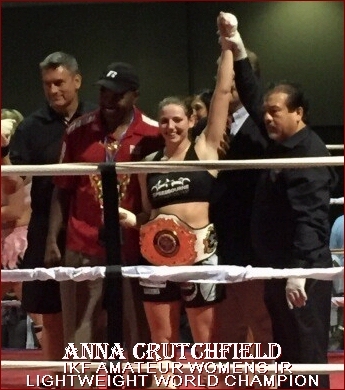 June 26th, 2015, Atlanta, Georgia, USA, AK Promotions and SFG's 'IKF Muay Thai Kickboxing"
Defeated Victoria Debroux (Atlanta, Georgia, USA) by Unanimous Decision, 49-46, 50-45 & 50-45. 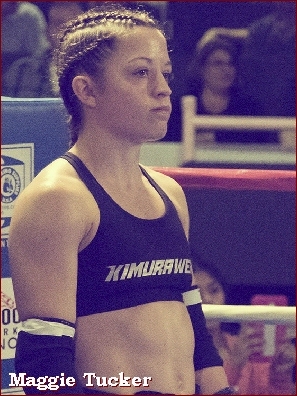 Defeated Tori Say (Wildowmar, California, USA, 3-0, AMMA: 4-0) by Split Decision: 48-47 Thiner, 48-47 Say & 48-47 Thiner. 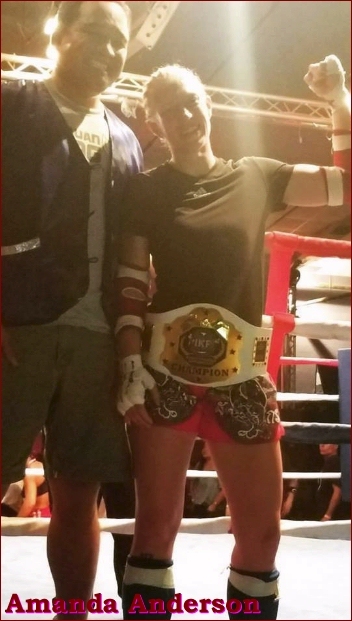 Defeated DayDay Davis by forfeit when Davis pulled out of this bout 48 hours prior to event under "Questionable" advice of her doctors. 122.1 lbs. - 127 lbs. 55.50 kg - 57.72 kg. 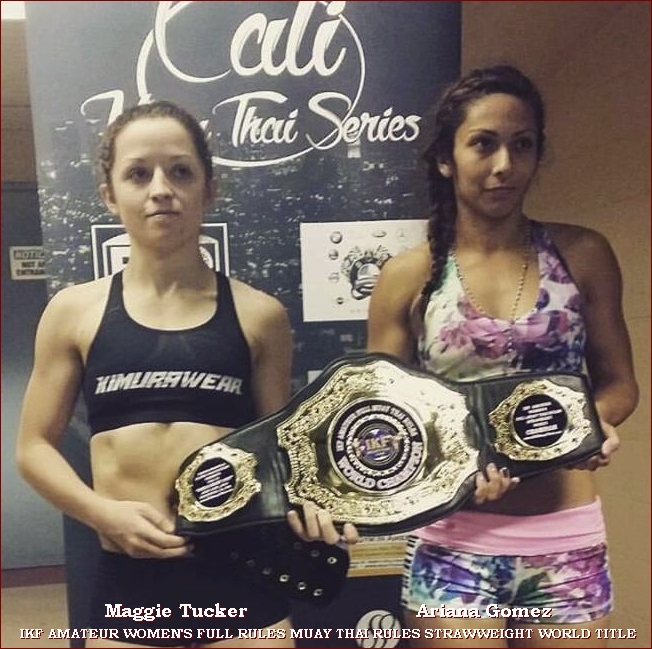 Defeated Gabrielle Laktineh (Los Angeles, California, USA, 6-3) by Unanimous Decision: 50-45, 49-46 & 48-47. 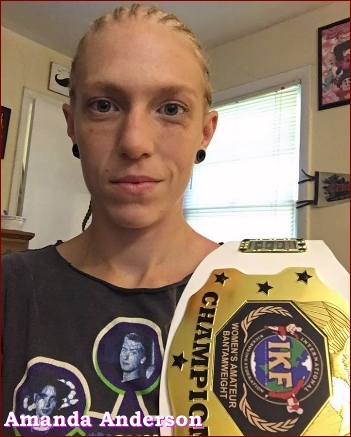 (**) March 9th, 2019 - Burbank, CA: SUSPENDED: Jackie Buntan was required to renew her IKF CA Fighters License which had expired on 4-28-18 however by IKF mistake, did not renew. 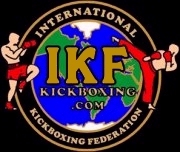 IKF needed Buntan to submit IKF CA Fighters License, Fees & New Full Physical to IKF by March 19th, 2019 but failed to do so. 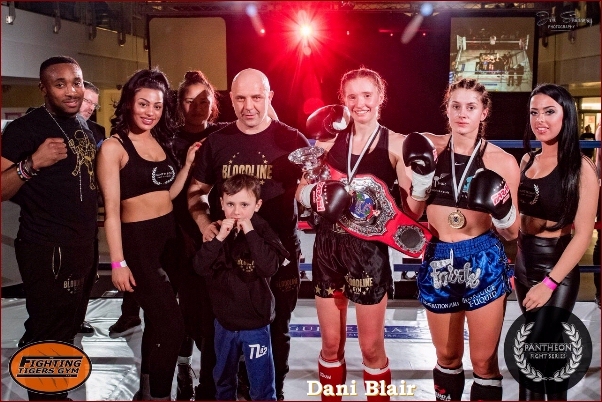 Buntan has now been suspended from competition & fined until IKF CA License & Full Physical is submitted to IKF. (**) Advanced Medicals Completed & Approved on 6-1-14. 7-7-15: Did FULL Physical in March, 2015. Advanced Medeical not required at this time. Review prior and after each future bout. 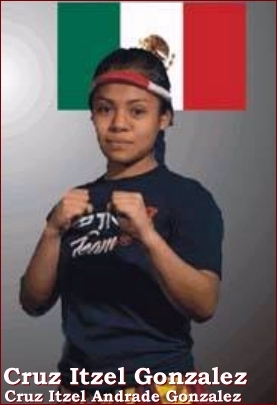 (**) Carla "Canelita" Saldana first registered/Licensed with the IKF on 6-20-14 with a fight record of 5-0. 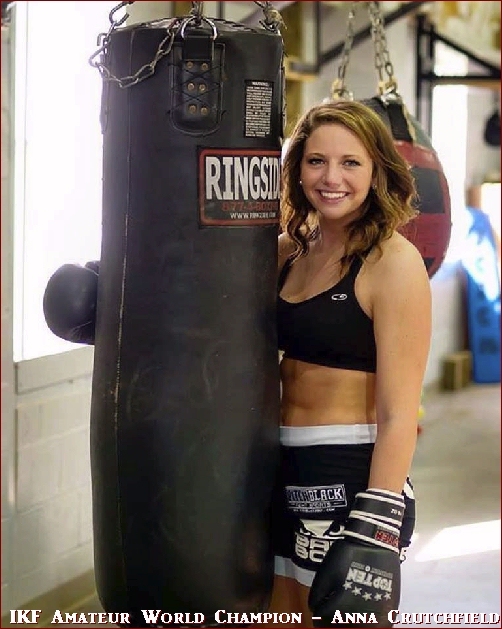 However, on 10-4-14 she filled out her fighter update form claiming a fight record of 3-0. 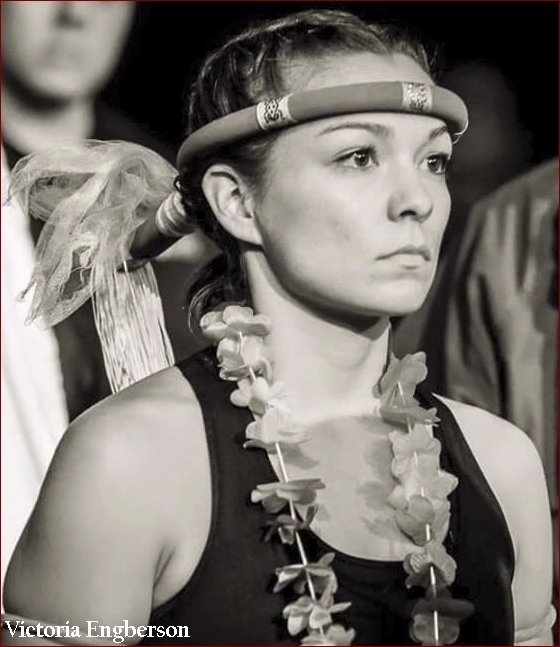 Carla "Canelita" Saldana is suspended until she submits a "FULL AND COMPLETE Past Bout History Form and an explination as to why she filled out her form with two different fight records. Please include your TRUE HEIGHT Too. On 6-20-14 you claimed to be 5'5 and on 10-4, 5'2". 127.1 lbs. - 132 lbs. 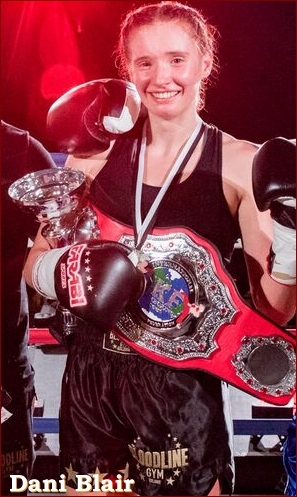 57.77 kg - 60 kg. 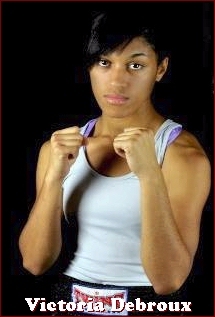 off the fightcard the day of the fight. aggravated an old injury on Tuesday. everything was good and the fight was a go. 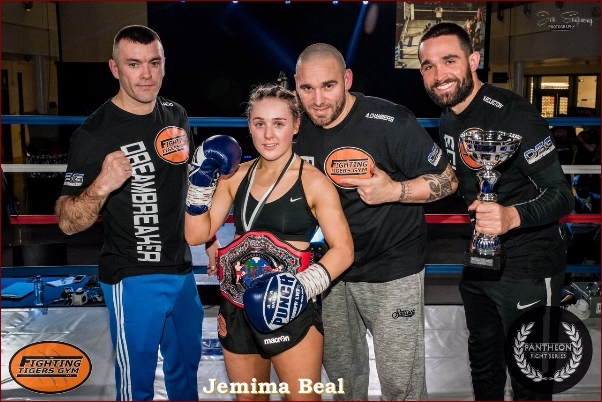 1 day notice so the bout would still happen. 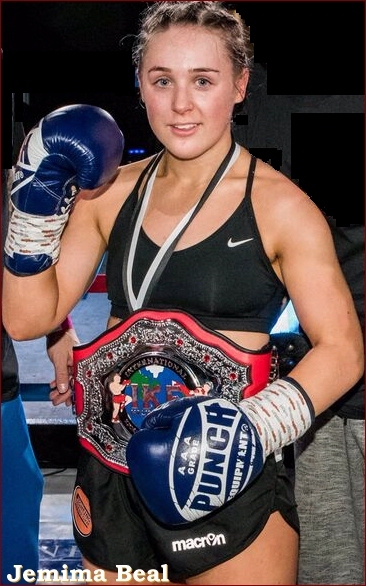 Defeated Lexi Rook (Eastbourne, England, 3-1-1) by split decision, 48-47, 48-47, 46-49. 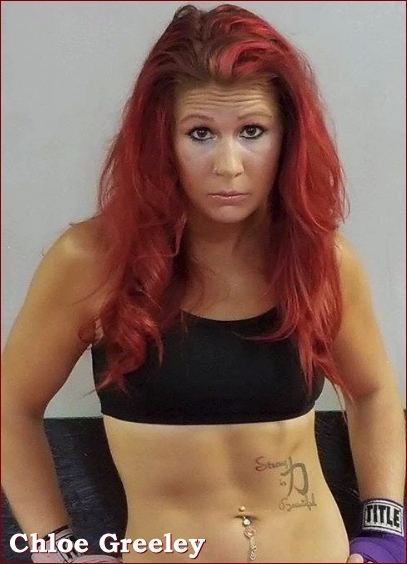 3-15-19: Diana Cole was issued a 180 day medical suspension until 9-12-19 by Dr. Adam Saby due to injury to her left leg / thigh from leg kicks. Can be cleared by MD sooner than 180 days. 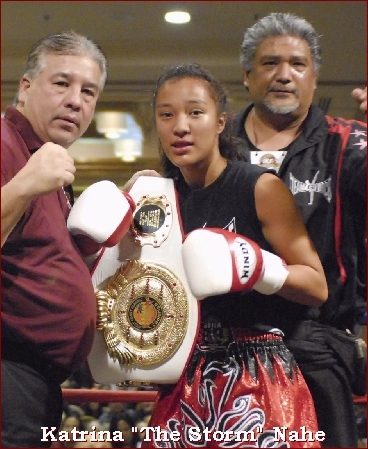 (*) 12-17-15: Record was as a Junior Fighter - Ranking drop due to being busy in Amateur Boxing and not Kickboxing.. 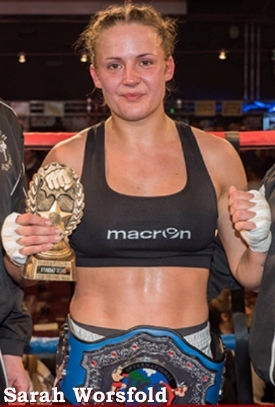 Defeated Lauren Huxley (Swansea, Wales, 9-6) by split decision, 50-45, 47-48, 50-45. 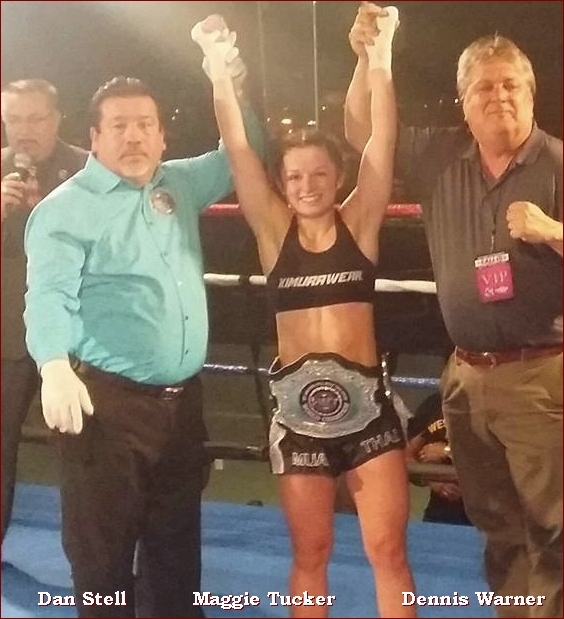 Defeated Carleigh Karen (San Diego, California, USA, 7-2/1) by Split Decision, 48-47 Karen, 49-46 Smallwood & 49-46 Smallwood. 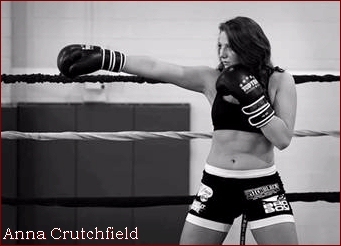 (**) Costello has been suspended by the IKF until she proves to the IKF her TRUE Fight Record. 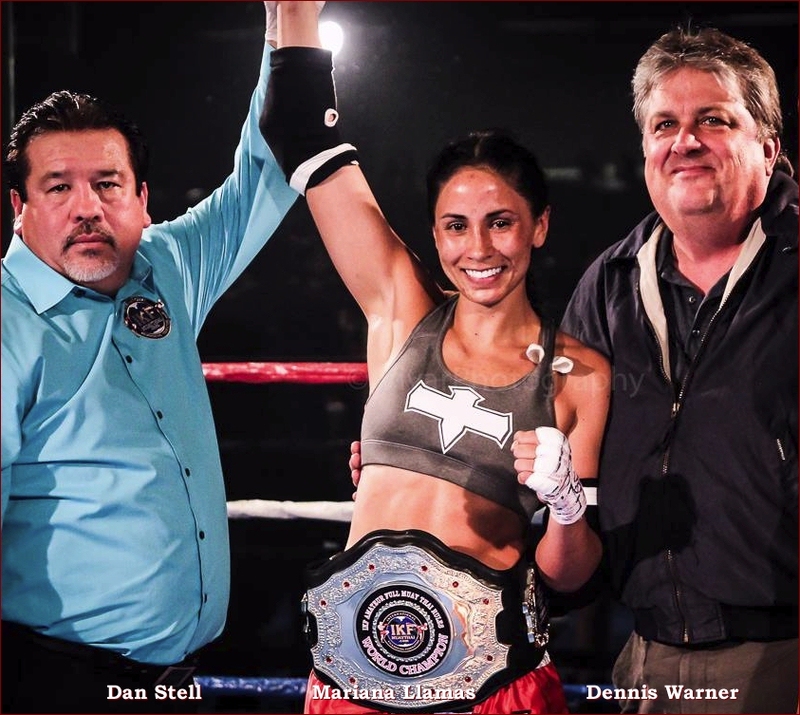 Costello informed the promoter/matchmaker on "CALI 8 - ALL GIRL SHOW" May 16th, 2015, and the IKF that her record prior to that bout was 4-1, possibly to be able to fight without headgear. 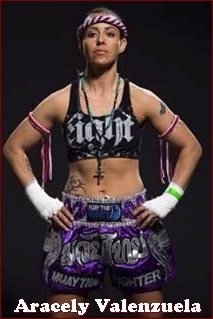 Costello put on her update form prior to her event on 12-5-15 (December 5th, 2015 - Inglewood, CA, USA) that her fight record was 2-1-1, which would mean on May 16th, 2015, she was 1-2 prior to her bout. 175.1 lbs. - 200 lbs. - 79.59 kg. to 90.90 kg. 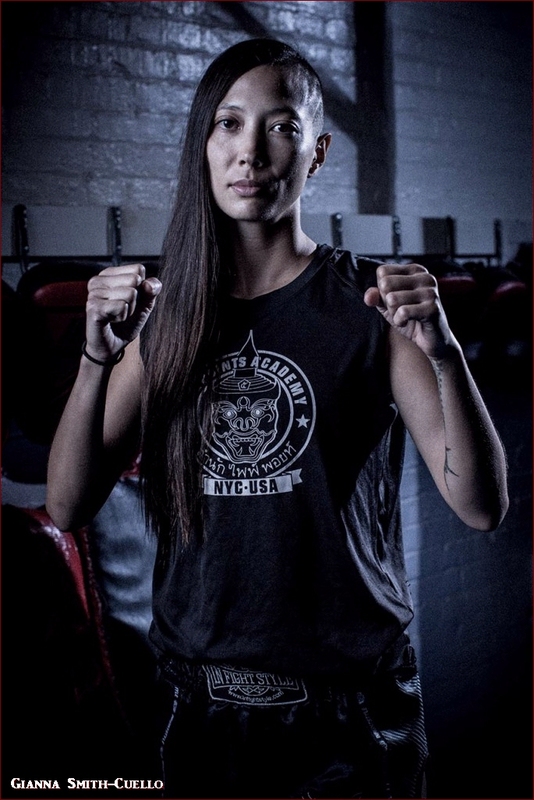 1: A fighter who registered with the IKF through the mail and DID NOT include a video of their fighting ability. 2: Their skill is known and they are Not considered skilled enough to be ranked number 1, 2 or 3. 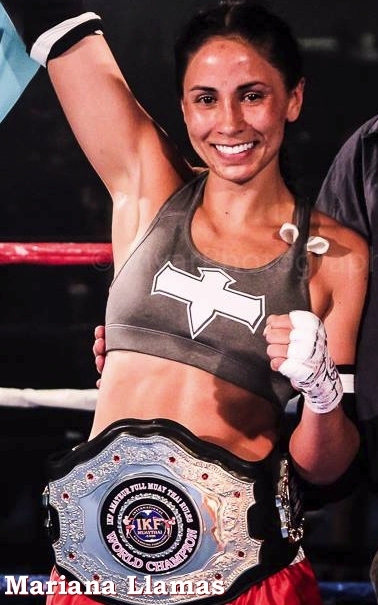 However, they appear in the position above since their division did not have any 1, 2 or 3 ranked-skilled fighters and/or not enough fighters in their division. #/F=Number of wins by FORFEIT. 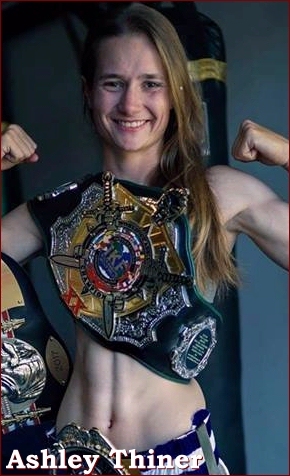 Opponent dropped out within 48 hours of event, didn't show at weigh-ins or didn't make weight at weigh-ins.